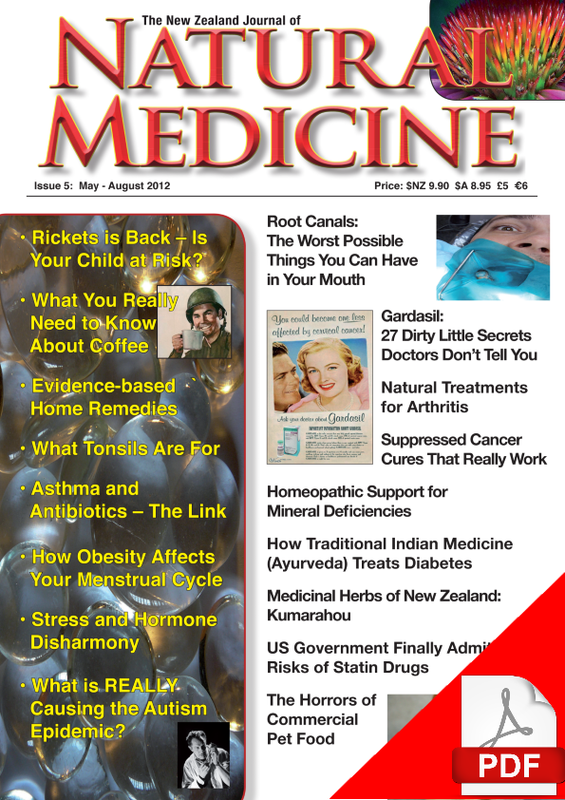 Issue 26 of The NZ Journal of Natural Medicine will be released in the week beginning Monday July 31 and will be in Australia towards the end of August. 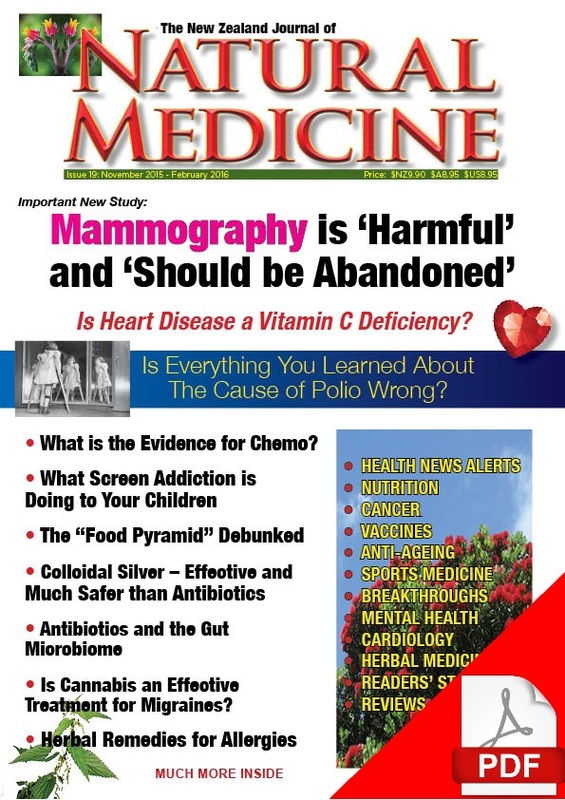 People simply are not being told by our medical profession or by mainstream media how to reduce their chances of getting breast cancer. This issue is our attempt to address this lack of information. 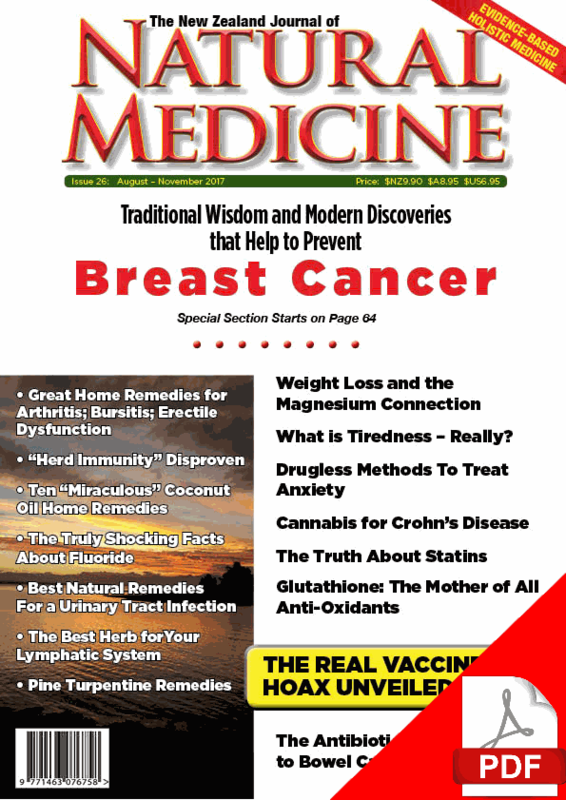 As a result, our cover stories on Preventing Breast Cancer may be the most important information that women need to know to help reduce their risk. In men’s health, this issue explores the many natural (and often low cost!) options for treating erectile dysfunction as well as many other “home remedies” for UTIs, bursitis, arthritis and even kidney probems. We’re enormously proud to feature a contribution by Robert F. Kennedy Jnr, reporting on how a study of a vaccination programme in Africa showed a tragic increase in the death rate of vaccinated babies, compared to their unvaccinated peers and what that really means for all of us. 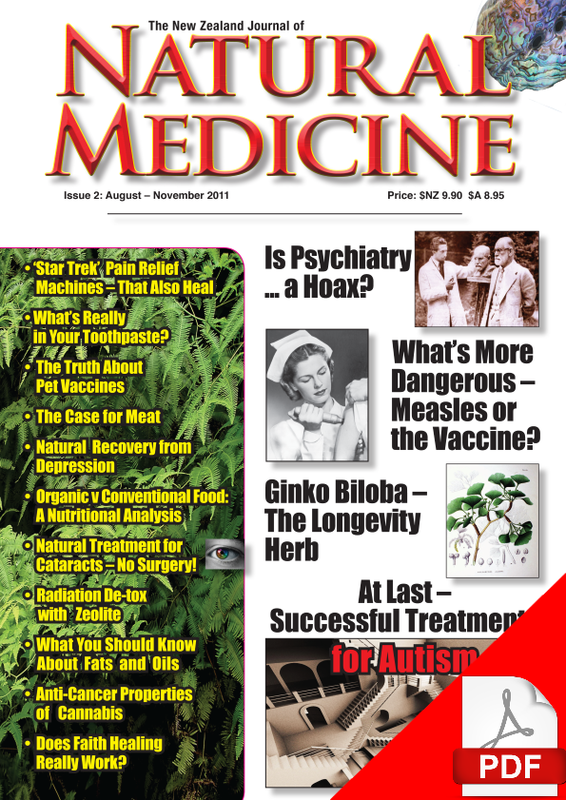 The new issue also features an article on how mass vaccination programmes can erode a population’s natural immunity, as well as a report on the use of a cannabis extract to help relieve the debilitating symptoms that some young women develop following HPV vaccination. Adrenal fatigue is a relatively newly identified syndrome affecting millions of people. Insights into the syndrome and the book itself are discussed in our review of Adrenal Fatigue: The 21st Century Stress Syndrome by Dr. James Wilson. Editor Katherine Smith reviews a new book by the late Dr. Nicholas Gonzalez, MD. As its name suggests, Nutrition and the Autonomic Nervous System: The Scientific Basis of the Gonzalez Protocol outlines the research base for the nutrition-based protocols, personalised for each individual, that can be used to successfully treat cancer and many other degenerative diseases. All in all, this is one of our best issues to date. Each eye-opening issue of the Journal is 100 pages of the most informative articles we can compile for your edification and reading pleasure. 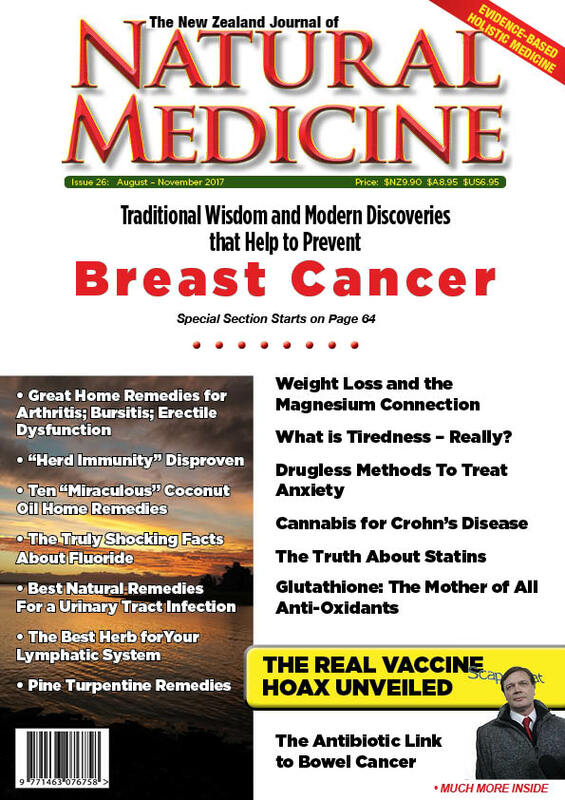 This is why so many people consider The New Zealand Journal of Natural Medicine to be the best magazine in the world – bar none. Copies of issue 26 will be available in Australia in late August and the Subscriber Updates section of this website and our Facebook page will be updated when the issue is available in Australia. If you are not already a subscriber but would like to subscribe the easiest way to do this is through our online shop HERE.